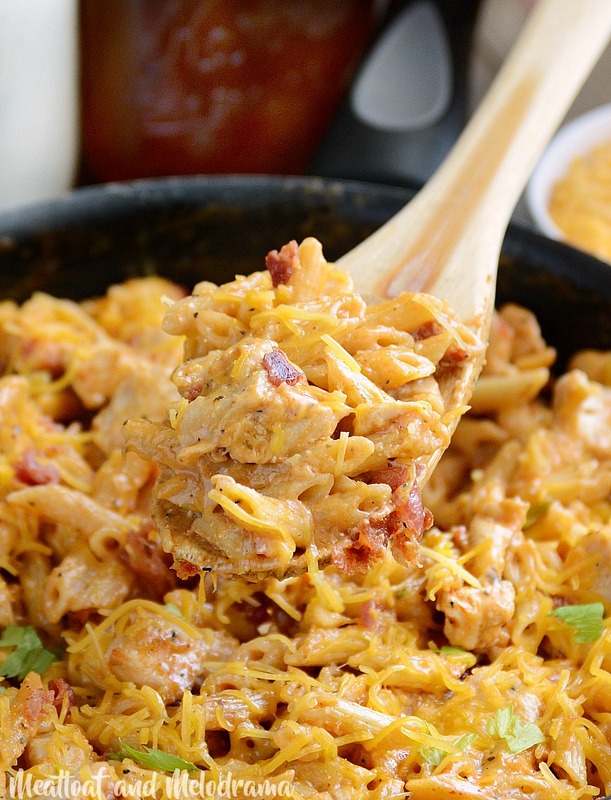 One Pot BBQ Chicken Bacon Ranch Pasta is ready in 30 minutes and perfect for busy weeknights. It’s a quick and easy dinner the whole family will love! Howdy, friends! 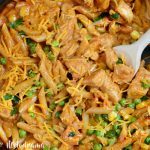 I’ve got a super quick and easy one pot chicken dinner for y’all today. 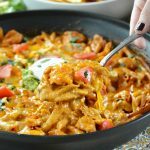 One pot, one pan, one dish — it’s doesn’t really matter what you call them, but these are some of my favorite easy dinner recipes. Not only are they usually ready in less than 30 minutes, but they’re also super quick to clean up. Because really, who wants to spend extra time doing dishes? Not me! And since school this week,– say it isn’t so — I know we will definitely be living on one dish meals! 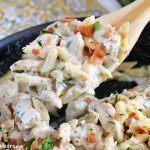 The other day, I made a quick and easy One Pot Chicken Bacon Ranch Pasta, and the family devoured it in no time. My family loves anything with ranch dressing, so I figured they’d like it, but wow — They loved it! 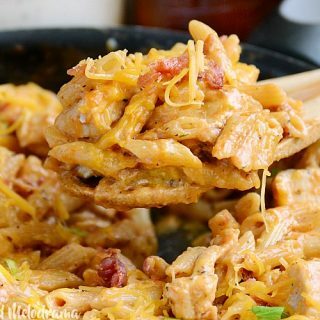 Since that dinner was so popular, I created a slightly different version — this easy one pot BBQ Chicken Bacon Ranch Pasta, which I first shared over at The Weary Chef . My middle child is the real barbecue sauce lover in the family — she pours the stuff over just about everything, especially if she’s not that fond of what we’re having. So, I definitely had her in mind when I was making this dinner. Anyway, both of these easy chicken dinners have bacon, pasta and ranch dressing, but this one has tangy barbecue sauce mixed in with the ranch. And instead of using Monterey jack cheese, I used sharp cheddar, instead. And friends, my kiddos actually like this version better! You get the creamy coolness from the ranch and a little spice from the barbecue sauce, and it’s just an amazing flavor combo! I used my favorite homemade ranch dressing, but you can use your favorite brand or even your own version of ranch. I used store bought barbecue sauce since you don’t need much for this recipe. But if you have some homemade bbq sauce on hand, definitely use that. I ended up serving this chicken bacon ranch pasta with extra dressing and sauce on the side so the kids could add as much flavor as they wanted. This dinner is definitely both kid and picky-eater approved! And if you want to sneak in some veggies, try throwing in a cup of cooked corn or peas at the end. 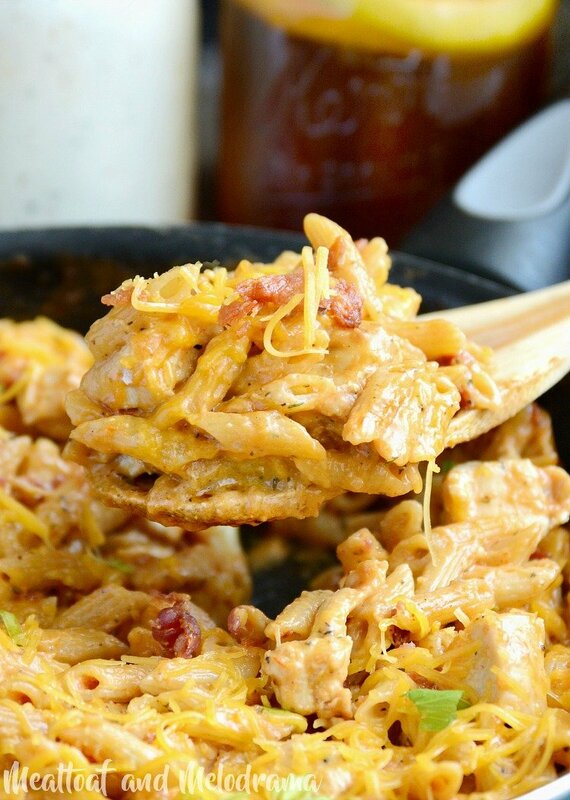 I hope your family enjoys this easy one pot BBQ chicken bacon ranch pasta dinner as much as mine does! We are a ranch loving household too, haha! Add in that this is a pasta dish….I know my family will devour this! Ooo! I love the idea to throw in a few of those goodies at the end! This looks so cheesy and delicious! Perfect on a busy night. Exactly what I need for dinner tonight! Looks so creamy and delicious! 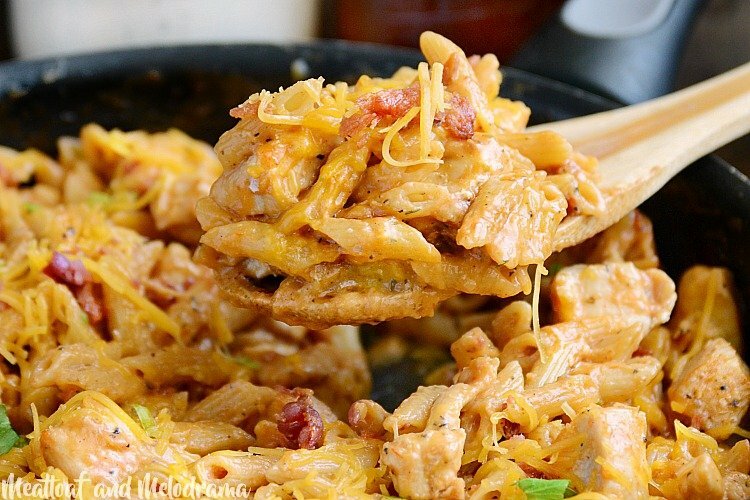 All that cheesy goodness… my family would go nutts for this! This pasta looks fabulous! Can’t wait to try it! Thanks so much. I hope you guys enjoy it! I love the flavors in this pasta! 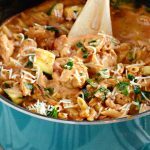 What a great Pasta dish our bunch will love it! Thanks so much for sharing with us at Full Plate Thursday and have a fantastic week!